In the South, we know how to grill up a good burger and Alabama’s burger joints are serving up some of the best. From college hot spots, to upscale bistros, these burger joints offer traditional options and innovative creations. Here are our favorites! 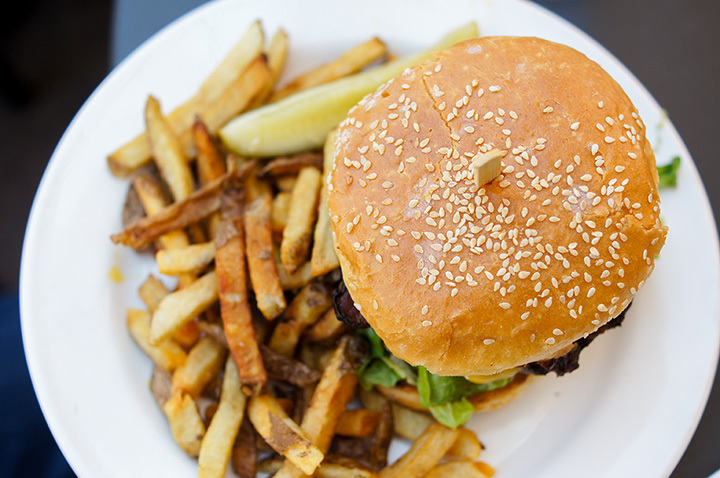 Home of the award-winning “Butch Burger,” Butch Cassidy’s Café is a rough and rowdy burger joint with an exciting menu. Open since 1993, the restaurant has always been creating new and delicious ways to enjoy a patty. Get a taste of the Wild West and check out their selection; their food will have your taste buds riding off into the sunset. Missing the burger joints of yesteryear? Visit Vicky’s Lunch Van in Montgomery. Vicky’s has perfected the art of the classic burger, made just the way you like it in four, six, or eight ounces. For an extra special patty treat, try their hefty and delicious Gunter Pile. Although best known for their seafood, Big Daddy’s is home to a mean burger. Whether it’s their “Big Daddy” or classic hamburger, you can’t lose. The scenic view of the river while you dine certainly doesn’t hurt their aesthetic either. Known for their fresh ingredients and always exciting rotating menu, Avenue Pub in Tuscaloosa does not mess around when it comes to making a burger. Try the rich and salty bacon burger with one of their signature cocktails—it’s always a perfect combination. Are you feeling fancy bust still want a burger? Chez Fonfon in Birmingham is the spot for you. The French bistro has been thriving since opening in 2000, boasting a menu of foods that are bursting with flavor. Feeding hungry college students for years, Niffer’s is the best place to get a burger in Tiger-ville. Their thick, juicy patties are topped with the best fixings and guarantee you will leave with a full, happy belly. Sand, sun, and burgers? Don’t mind if we do! Bill’s Burger features a patty made with the finest short rib, brisket, and sirloin and sits on a delightful pretzel bun. Bring the meat-lover in your family, and they may never want to eat anywhere else. This classic Alabama barbecue joint is home to one tasty burger. The patties are always perfectly seasoned and perfectly grilled. Pair your burger with one of their kickin’ sides, and you’ve got yourself the feast of a lifetime. For a friendly atmosphere and a stellar burger, check out J&J Grocery in Bessemer. The joint offers a bacon cheeseburger that you will never forget.